Hi my beautiful friends! 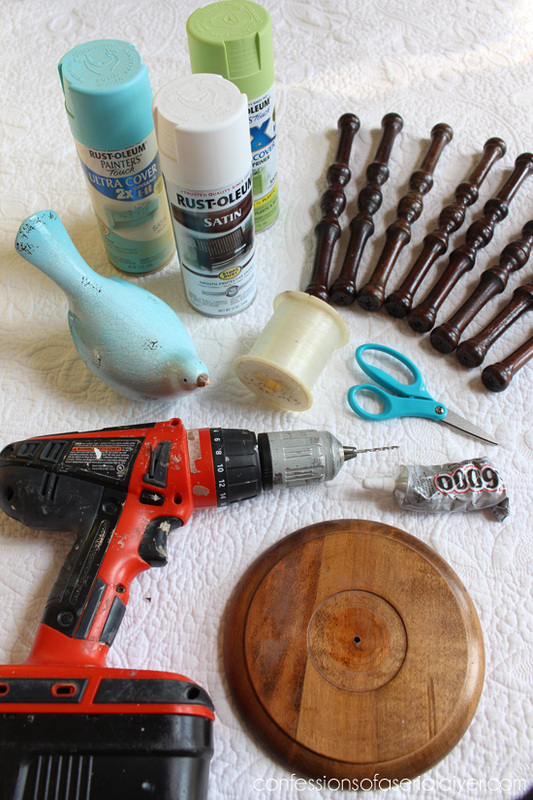 Today I’m sharing what I did with a bunch of spindles I found at an estate sale for $2 a couple of months ago. The lady asked me what I was going to do with them, and I honestly had no idea at the time. Obviously it took me a while since they’ve been rolling around on the floor behind my seat in my car since I got them! I thought they could eventually make perfect handles for tool caddies or something. 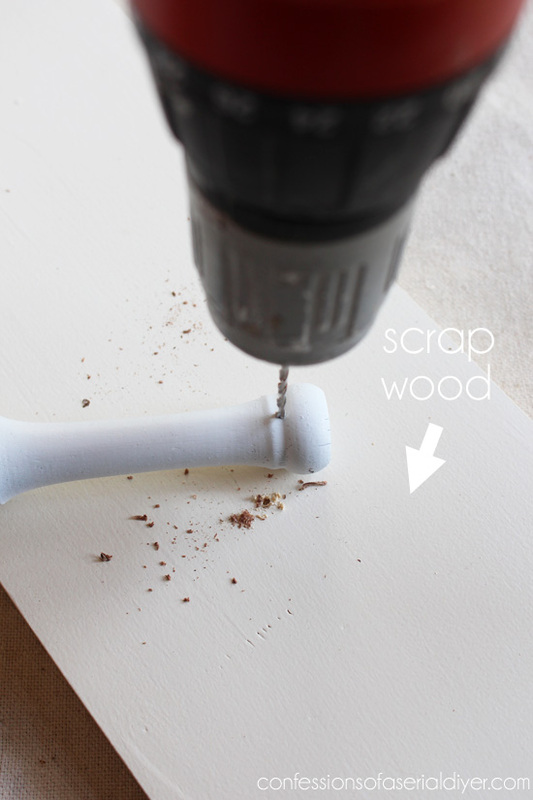 Then my very talented friend, Wendi from H2O Bungalow invited me to participate in a tool challenge, so I came up with another idea for them. 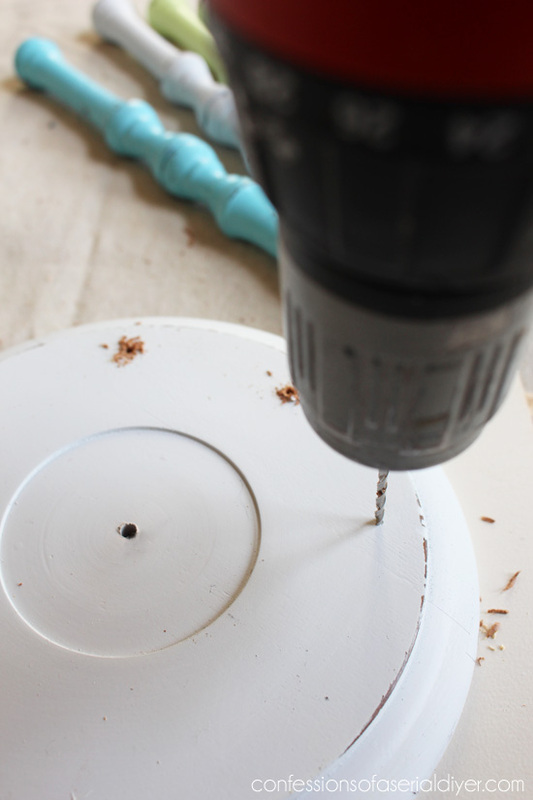 The challenge was to create something using only one power tool. The tool she chose was a drill. Now many of you may be very handy with a drill, but there might be some ladies out there that aren’t as comfortable using one. 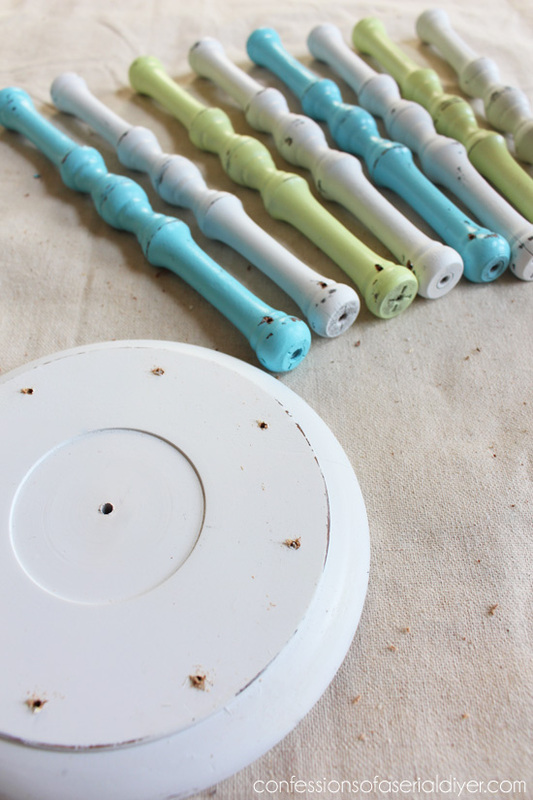 I’m going to share how I turned these spindles into super cute wind chimes, using only a drill, and at the bottom several other crafty gals are sharing the projects they created using only a drill as well. Then we’ll move on to another tool for our next challenge, and so on. Maybe by the time we’re done, there will be a few new power tool users out there! Not bad, eh? I love these colors! 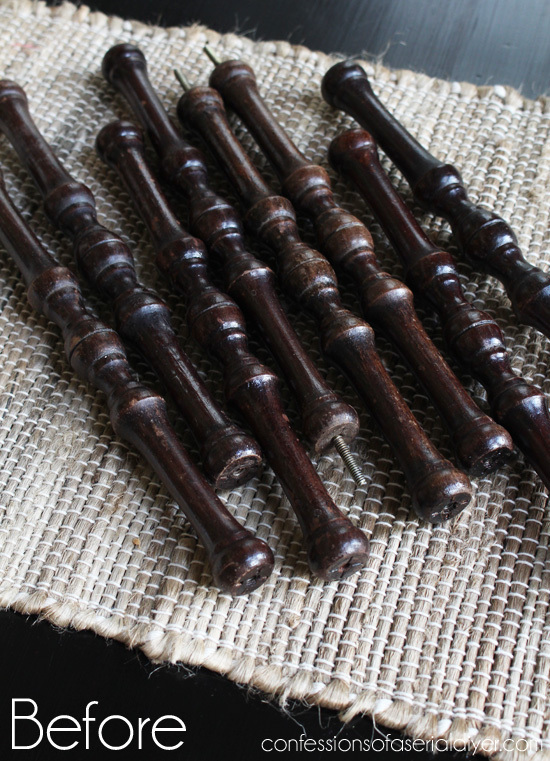 I scored on these spindles, but you could also use spindles from an old chair or crib. 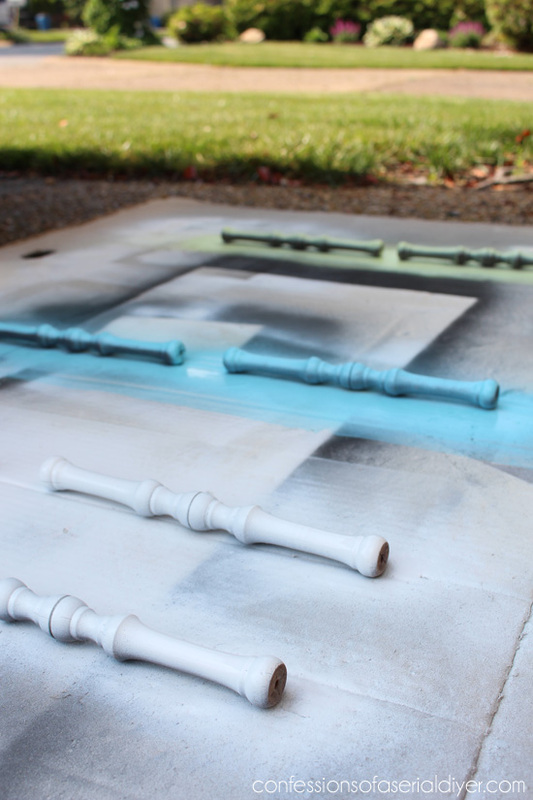 First I spray painted my spindles and my candle stick base with spray paint. I used white, aqua, and green that I already had left over from another project. This will be the piece that the spindles hang from. 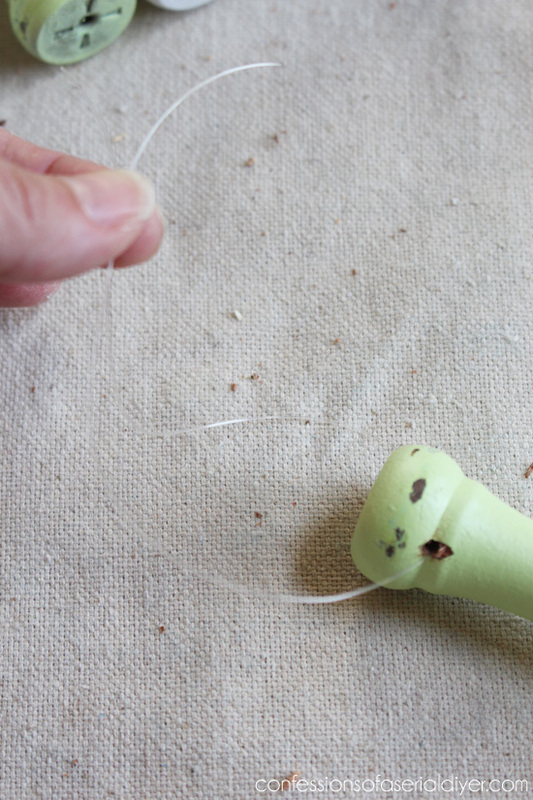 …and knotted them several times so they would dangle and not fall through the small hole. Can you see the knot? 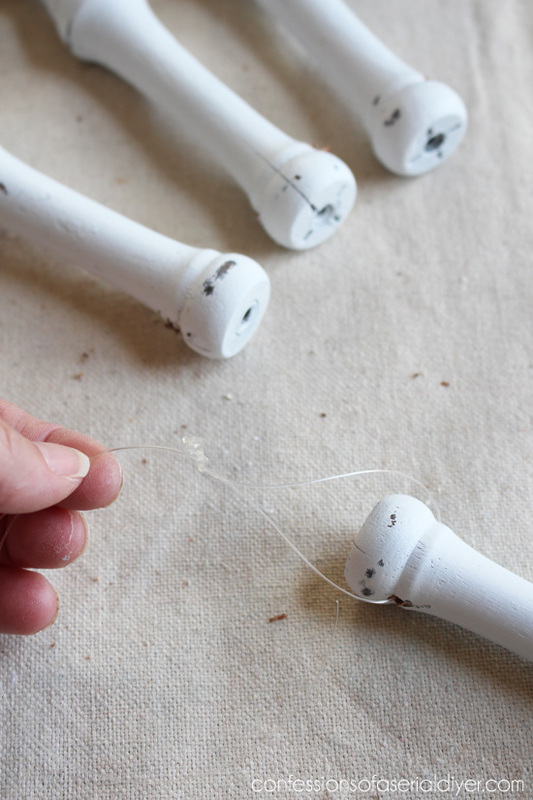 The 24″ fishing line I cut for the white spindles would be the line that connects to the ring at the very top for hanging. I threaded the line through the hole then knotted it several times before pulling it through the holes in the top piece. It took a bit to get the spindles to all hang evenly. I wish I had a secret for that but I’ve got no help for ya there. 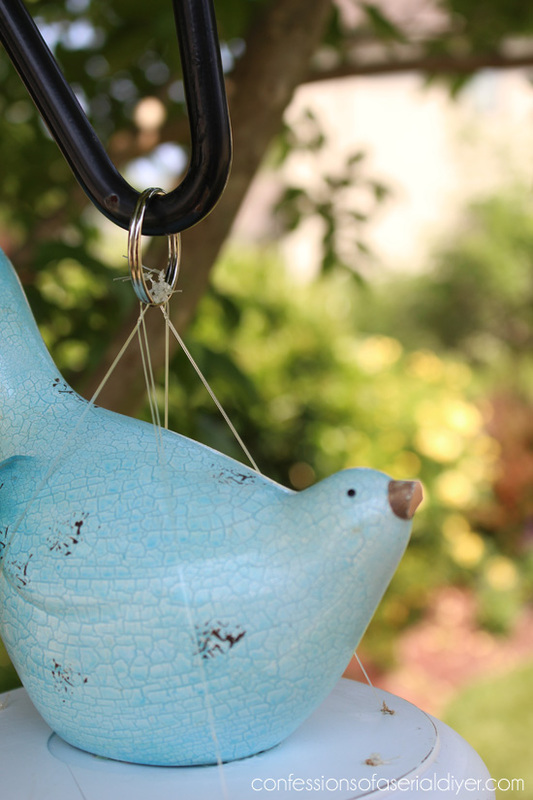 I added this ceramic bird that had a broken beak (I just couldn’t throw him away) to the top using E6000 glue. This little bird originally came from Kirklands and once had feet as well. 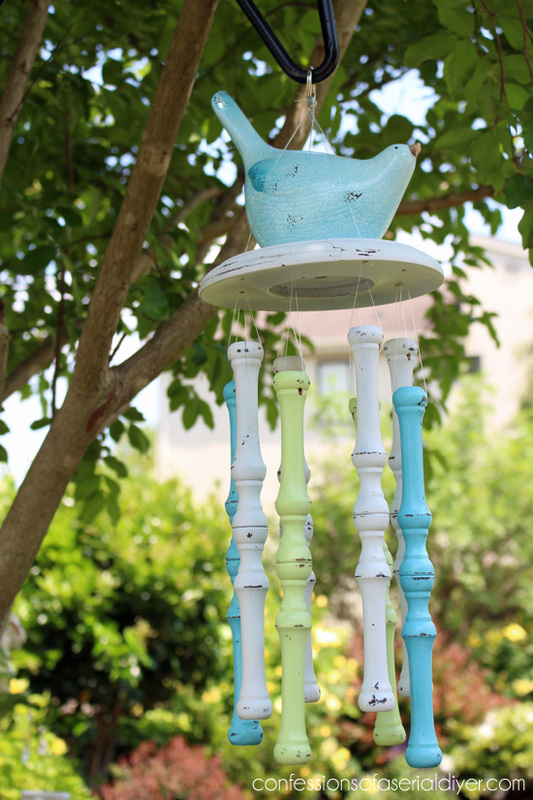 I love the fun pop of color these chimes add to my garden! I love the sound of them clanking together too. I’m so glad I finally came up with a use for these old spindles, and that they’re no longer clankity clanking behind me in my car. So that’s my one tool challenge, using only a drill. Pretty simple, right? Very clever and wonderful idea. 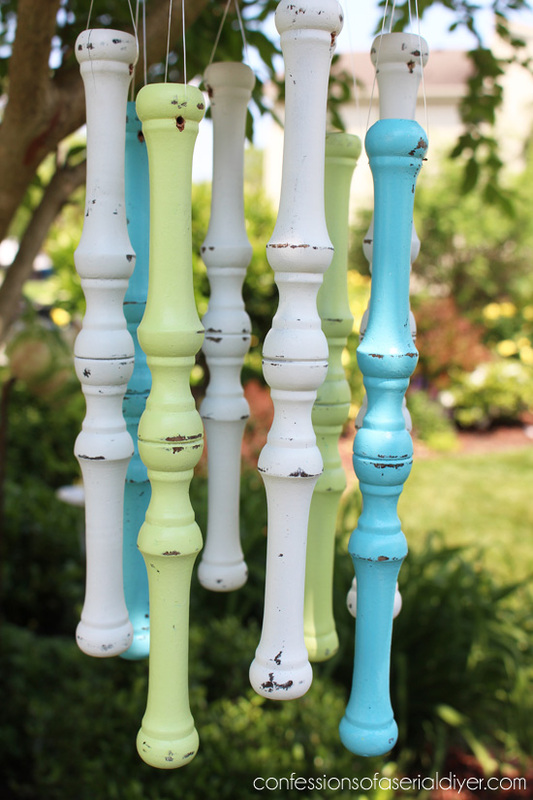 What wonderful looking wind chimes and how pretty they are hanging in your flower garden. 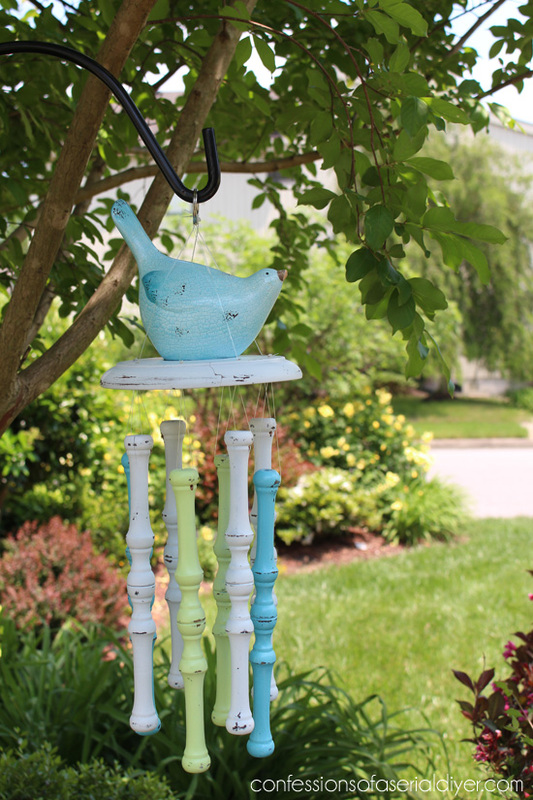 What a fabulous use for those old spindles Christy!! 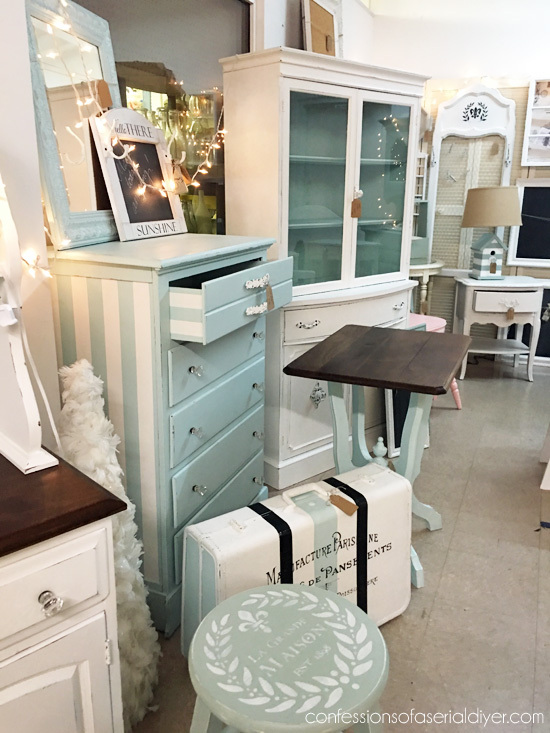 I’ll definitely keep my eyes peeled when I’m yard saleing this summer! I love the colors you chose, the sweet little bird just finishes it off!! And I’m looking forward to following along with this challenge because the drill and Palm sander are the only power tools this girl is comfortable with at this point!! Thanks adorable Christy. I have been knee deep with making a few myself. 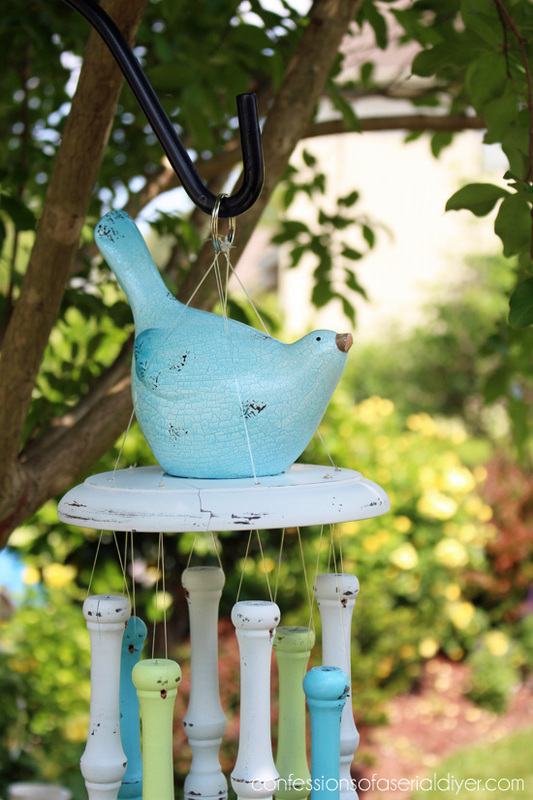 Total coincedence I just posted about wind chimes today and will have a couple more to show. 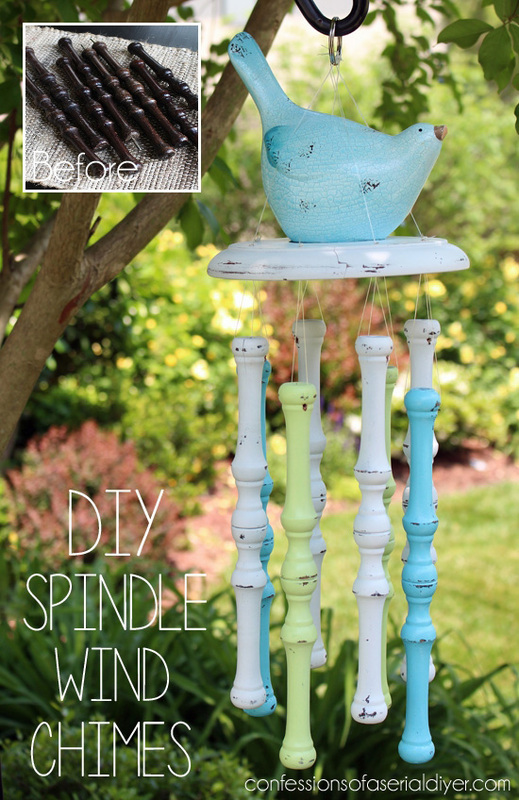 Maybe I can find some cute spindles to make another one. I love it. 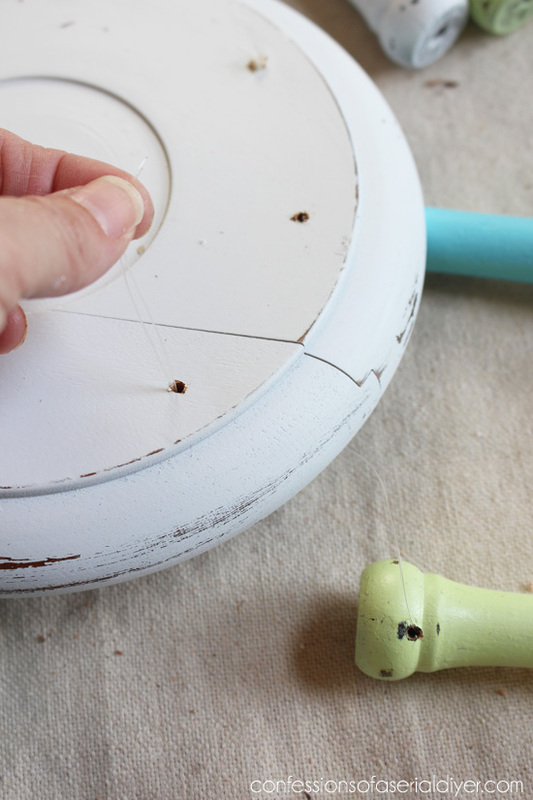 Such a cute project – great idea! 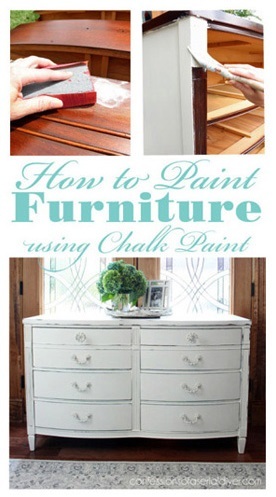 I love the paint colors you chose, as well! Oh my gosh!!! What a great idea!!! So pretty!!! Oh Christy this is so adorable!!! I love it! I love wind chimes, and I can never have too many spindle projects…. I have tons! 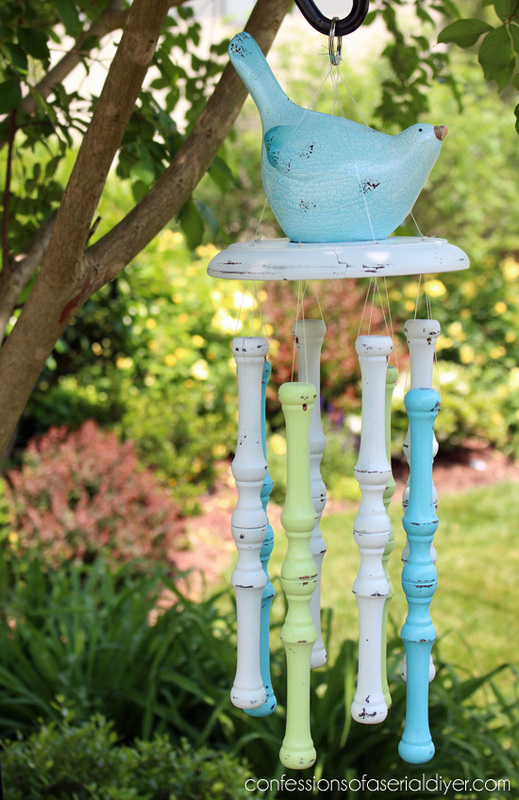 So, of course I love your one tool project making this beautiful spindle wind chime. I think I’ll be making one of these for sure. Well thanks Christy, you’ve just added another thing to my Must Make List. 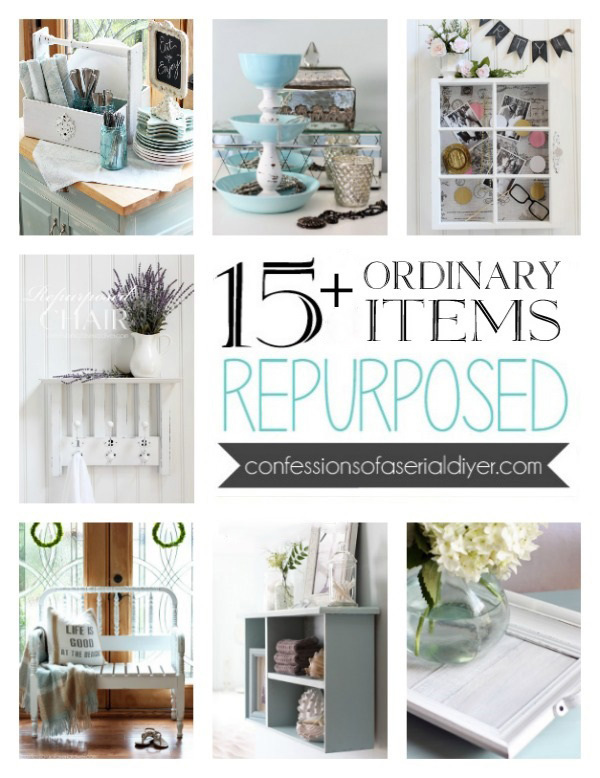 How creative is this – LOVE this idea and MUST have one or two or three (great gifts). 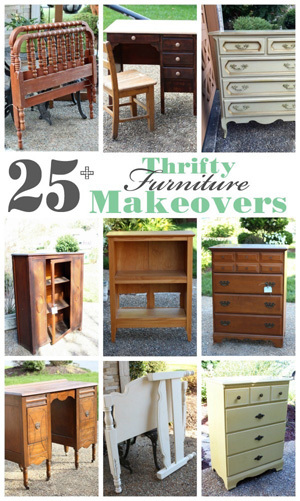 It was such fun doing this challenge with you! Who would have thought… so cute! That bird is SO perfect. I need to find a collection of spindles too. : ) A crib is a brilliant idea! You never cease to amaze me, girlie:) I’ve been on the lookout for a windchime but everything I have found is just so cheesy and cheap looking. This is BEAUTIFUL!!!! Totally would love to see and hear this all summer long:) Thanks for sharing! Hi Christy, Isn’t it amazing how inspiration hits us? And we come up with these cleaver and wonderful creations. Thanks for sharing with us. Amazing!!! It looks so pretty. Hey Christy! What a great project! So creative you are :). I could see this hanging outside of my window in my backyard! Well done, girl! These are so pretty Christy! I love the colours!! 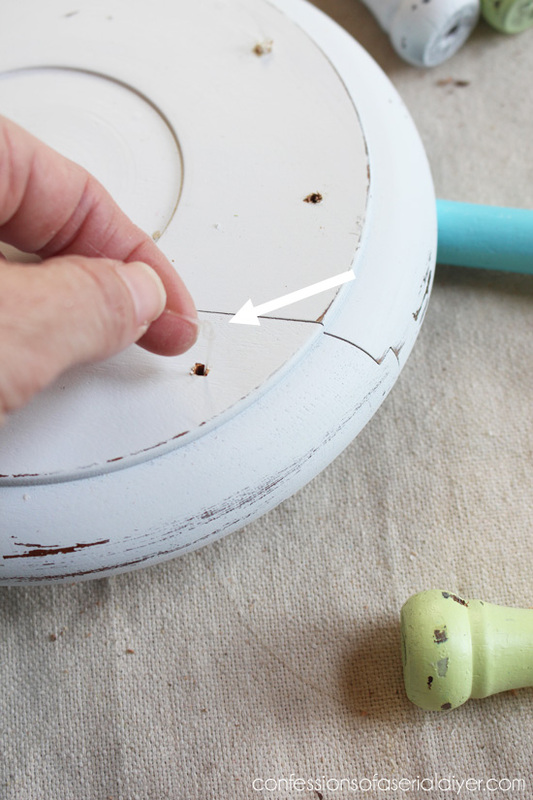 And the finish is perfect- sharing on my FB page today:) Happy weekend!! 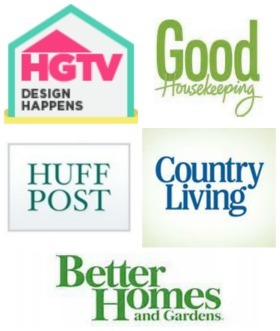 I came to your site from Hometalk where I saw this post. So amazing. I am having a good time looking around your blog. You are very creative. This is a wonderful project I bet it sounds pretty when the wind chimes. I really like the color combo too!